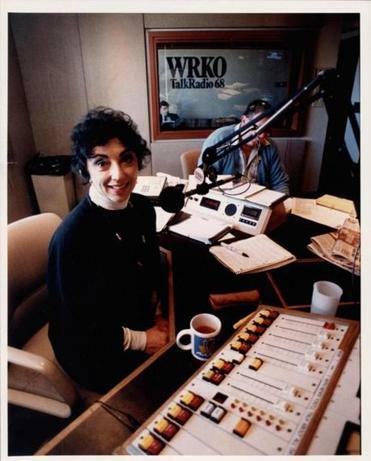 Mrs. Jeghelian was a talk show host on WBZ before moving to WRKO. As one of the few female voices in the boys’ club of Boston talk radio in the 1980s and early-’90s, Janet Jeghelian sounded themes she would raise anew when she became a pioneering Republican woman seeking statewide offices. Mrs. Jeghelian, who was 83 and living in Walpole when she died Saturday, went on to seek the Republican nomination to challenge US Senator Edward M. Kennedy in 1994. Unsuccessful in that bid, she subsequently was Jane Swift’s lieutenant governor opponent at the 1998 state GOP convention, and she went on to challenge US Representative J. Joseph Moakley in 2000. Having formerly served on the Westwood Board of Selectmen in the 1970s, Mrs. Jeghelian set out in 1994 to persuade voters that the talents that helped her succeed in talk radio would translate into the abilities a US senator needs to serve constituents. “Whether people have confidence in you and trust you is what determines your survivability on talk radio, and I think [my] 15 years proves that,” she told the Globe in April that year. On the campaign trail, her background came in handy in unanticipated ways. While seeking the GOP US Senate nomination, she was scheduled to be a guest on a Springfield talk radio program, only to learn that the host had been stranded in Florida. The station asked if she would mind filling in as host, rather than just be a guest. She gladly accepted the opportunity to spend three straight hours behind the microphone on a March afternoon — a sort of de facto extended commercial that would have been prohibitively expensive to buy. Mrs. Jeghelian’s own political allegiance had begun shifting rightward on the cusp of her prominent years as a conservative talk show host. Although she had once served on the town Democratic committee in Westwood, she told the Globe that she switched her registration from Democrat to independent in 1978, and then to Republican in November 1993. “I think that diehard conservatives cannot win in this state,” she said in 1994 — an opinion reflected in her own stances. Mrs. Jeghelian opted for a blend of fiscal conservatism and more moderate positions on some social issues. Though she supported the death penalty, she strongly backed abortion rights. Drawing on her own experience, she also was frank about how affirmative action could help women. She worked a Norfolk radio station in the late-1970s until WBZ-AM offered her a job and a much larger audience. Radio needed more women, Mrs. Jeghelian recalled, and she often was the only female on a male-dominated list of talk show hosts that included Jerry Williams, Jess Cain, and David Brudnoy. The oldest of three siblings, Janet Tevekelian was born in Watertown and as a child moved with her family to Newton. Her parents, Hagop Tevekelian and the former Elizabeth Kasparian, opened a dry-cleaning plant there, and the family lived upstairs. “Family meant everything to her,” said her brother-in-law Harry Kushigian of Cranston, R.I.
Mrs. Jeghelian graduated from Newton High School and received a bachelor’s degree from Boston University after studying physical therapy at BU’s Sargent College. Moving to New York City, she continued her physical therapy training and studies at New York University and Bellevue Hospital Center, where her patients included Roy Campanella, a Hall of Fame catcher for the Brooklyn Dodgers who had been in a serious car accident. Upon her return to Massachusetts, one of her patients was Joseph Kennedy, patriarch of the political clan. While serving in that physical therapy job in the early 1960s, she taught Ted Kennedy — her future political opponent — a few Armenian dance steps so he would be more comfortable campaigning at Armenian gatherings in Greater Boston. It was at an Armenian community dance that she met Haig Jeghelian, who was known as Gunder. They married in 1960, and he became a marketing executive for Gillette. Mr. Jeghelian died in 2014. Mrs. Jeghelian broke a gender barrier when she was elected to the Westwood Board of Selectmen in the early 1970s. In the 1990s, after leaving talk radio, she was director of rehabilitation at what was then the Stone Institute in Newton, and she received a women’s club award for leadership. She was long active at St. Stephen’s Armenian Apostolic Church in Watertown, where she was part of the ladies’ guild and choir, and she also sang with the Erevan Choral Society. Mrs. Jeghelian also worked with the Armenian Women’s Welfare Association. In addition to her brother-in-law, Mrs. Jeghelian leaves her son, Armen, and daughter, Tina, both of Walpole, and her sister, Claire Kushigian of Cranston, R.I. Mrs. Jeghelian’s other daughter, Robin Theriault, died in 2011. A funeral service will be held at 10 a.m. Saturday in St. Stephen’s Armenian Church in Watertown.